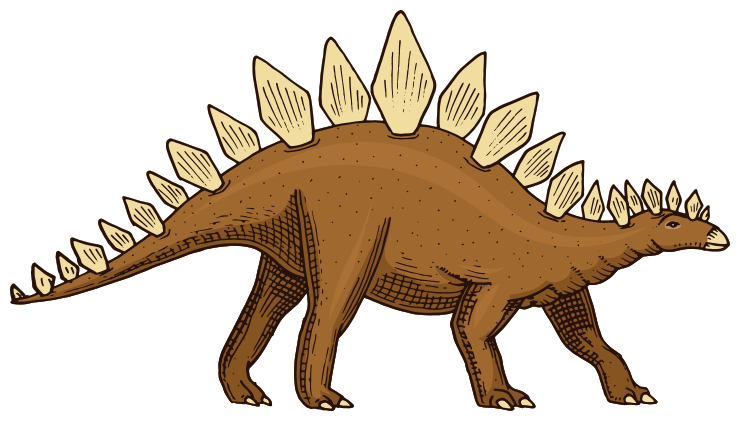 A distinct feature of the Stegosaurus is a rounded back with body plates embedded and a spiky tail. The animal moved very slowly and survived on plants. It lived in the late Jurassic era, some 155-145 million years ago. Remains were found in parts of Portugal and the western United States. The Stegosaurus was a quadruped with the hind limbs being longer than the front ones. It’s slow speed meant that it was pretty to other genera like the ceratosaurus. Speculations are that the spiked tail was for protection.